Deliver multiple documents in a single shot. Send a separate email for each document/PDF, or consolidate messages for a single email per customer/vendor. 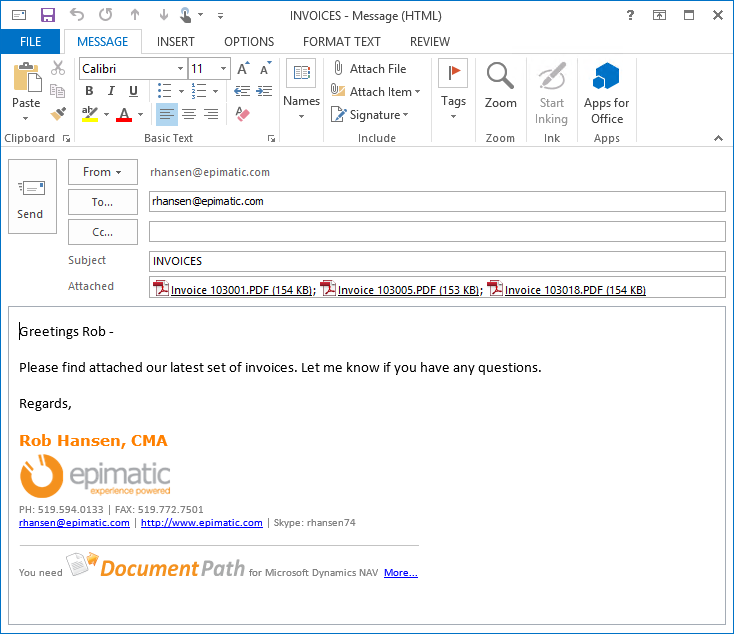 On the consolidated emails, attach each document as a separate PDF, or consolidate them into a single multi-page PDF file.